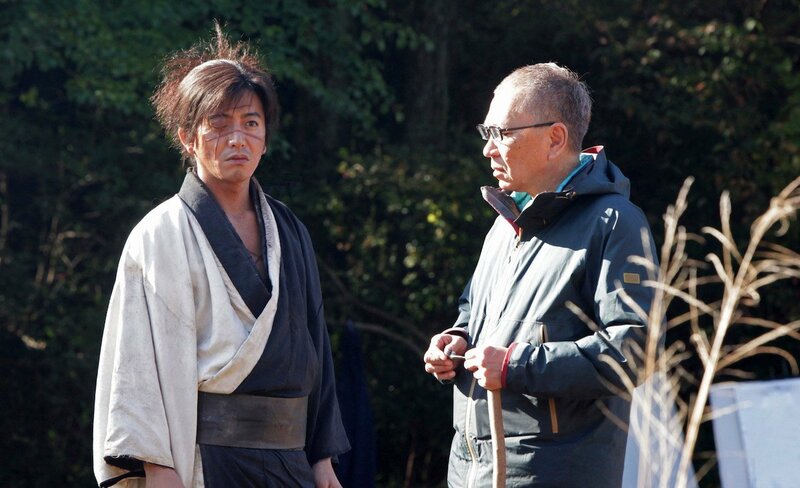 The 100th directorial feature by Japanese filmmaker Takashi Miike, Blade of the Immortal is the film adaptation of the eponymous manga by Hiroaki Samura. Q: Blade of the Immortal is your 100th film – how do you feel about that? Did you ever think about reaching that milestone? A: No, I never thought I would make that milestone. I was working as an assistant director for over ten years so I never thought I would be a film director. So it’s a surprise to me. Q: What inspired you to go from being an assistant director to a film director? A: In Japan, being an assistant director means you have to do everything – you have to help the director direct the actors, make up the schedule, meet up with the producers, time-keep breaks and tasks – I had to do everything. One day, a producer said: “You seem to do everything – you probably could direct as well”. It was as simple as that. Q: You never seem to have any trouble making films as other directors struggle to keep productions under budget. What is your technique in that? Q: A lot of people know your work from Audition, 13 Assassins and Ichi the Killer – all of which are incredibly violent. What is about violent films that appeal to you the most? A: I don’t set out to make violent films – it’s not something I want to make; it’s in the characters. When I meet the character, I see that that’s where it comes from. For example, in Japanese yakuza films, the characters are softer and the popular yakuza are nicer. So when I see the character, I feel that, in reality, I think ‘you can’t be nice. – you have to be more violent.’ When I actually look at the character, not necessarily the story, that’s where the violence comes from. Q: You are one of the very few successful directors that haven’t attempted to do anything major in Hollywood. Would there be any project that would interest you? A: I’ve had a couple of offers. I was approached two months before filming was scheduled to start on one project, but there were so many restrictions imposed on me. It became apparent that I was not allowed to make any other film for 18 months after production had finished. The next film I make after that had to be the first film linked to a particular producer – there were a lot of conditions on what I could make next. When making film projects in Japan, in order to make that film, we spend the necessary time for that film whereas, in Hollywood, they ‘pay’ for a certain amount of time, so you had to dedicate that time to the project. There’s a fundamental difference in filmmaking approach so it didn’t work out. And of course, the amount of money offered was very, very attractive, but nothing was good enough to commit to. I’m currently working on several projects in China, one of which involves [martial artist] Sammo Hung as fight choreographer. Q: Do you think you have evolved as a director? A: I don’t think I have evolved at all – it’s not a question of evolving. I think that if I think about changing, I see it as unnecessary pressure on me and would cause too much stress. What I can say is those people who were my assistant directors are now directors themselves. I think I’m working on the next younger generation to help me and then maybe trying to train them into the industry. Check out our LFF 2017 review for Blade of the Immortal here. Scene Stealer: True Romance – Am I lying?